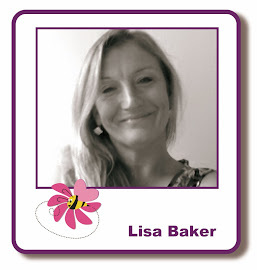 Good morning, Kirsten here with another of Georgina Ford's gorgeous samples for the Lisa B Designs event day last month. 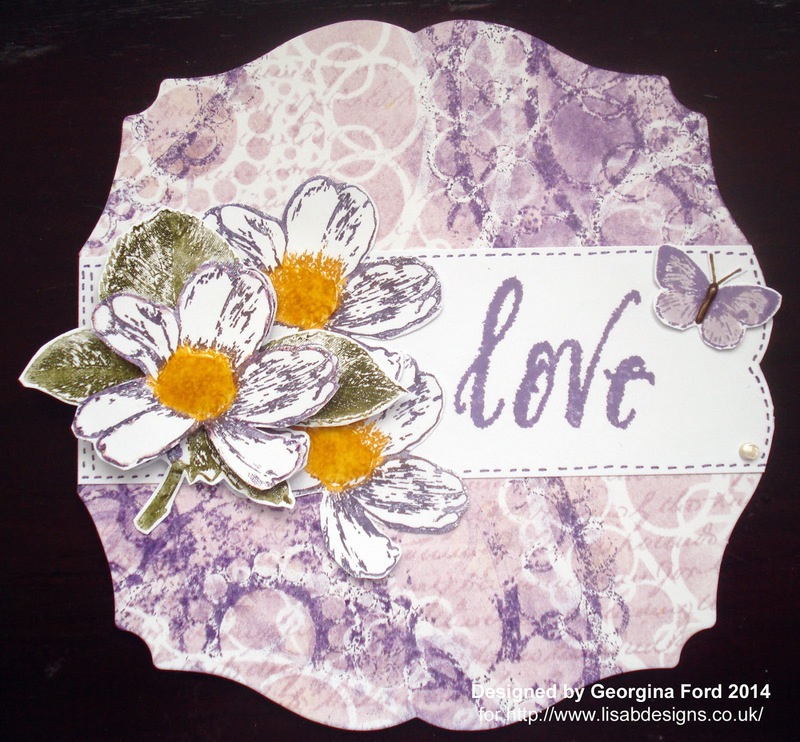 For this card Georgina made a background with the TCW Mini Ring Doily stencil, added the flowers & butterfly from the un-mounted red rubber Encyclopaedia Botanica & the word 'love' from the Journaling Words 1 stamp sets, from The Artistic Stamper. We're very grateful to Georgina for making these terrific samples for us while she is on her Summer DT break. A beautiful card. Really love the background and colours. ooohhh this is lovely. those words look amazing, the stencil background is very effective.